HAPPY NOVEMBER!! I hope you all are well and enjoyed a most magnificent Halloween! I certainly did, Halloween is one of my favourite times of the year (I love any holiday) and so I went all out this year! I used to just do easy-ish costumes, but for the past few years I have tried to go as all out as possible! 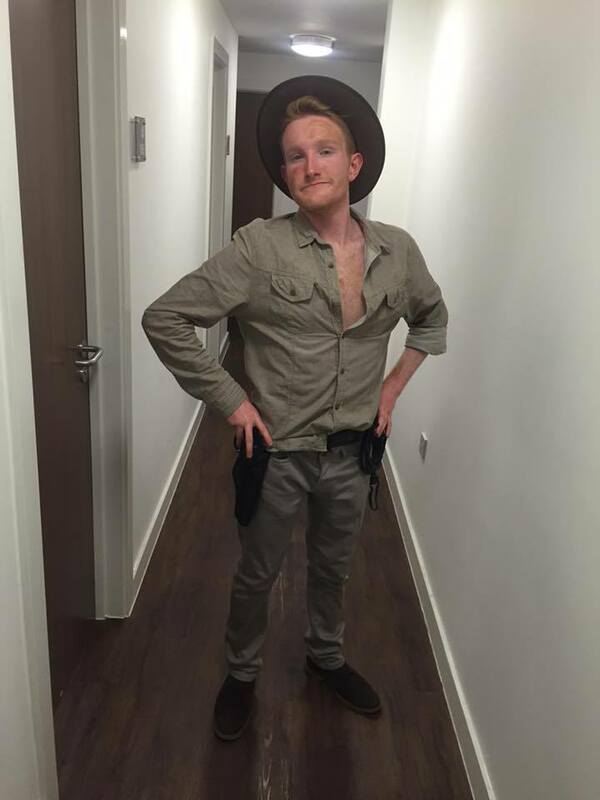 Usually I do 2 costumes but this year I went for 3! Also, oops, when you’re planning to do a blogpost on this stuff, you probably should take better quality pics. But also, w/e these are a mix of ‘at the party’ pictures and ‘the taxi is here in 2 minutes and we haven’t took pics yet’. 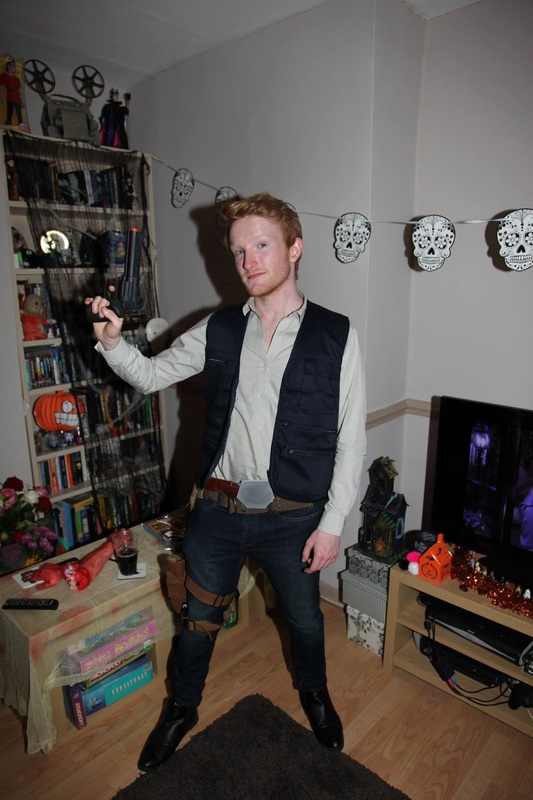 I went as Han Solo last weekend! Han Solo is my favourite Star Wars character, and as I’ve fell completely in love with Star Wars this year, it felt apt! This costume took M O N T H S to put together, and I know from how it looks it doesn’t seem that way, but it really did! The vest is a fishing vest I bought from eBay, then removed and painted zips and labels. The shirt is a great charity shop find! The jeans are Primark (and don’t have the Corellian bloodstripe, even though I bought the fabric for it, I kinda wanna wear these jeans again so didn’t stitch it in. The boots are the chelsea boots featured in every single blogpost ever. The gun holster is actually a real life gun holster! I bought it off of eBay as it was cheaper than a prop one! It was khaki, and I then used fabric paint to make it brown/kinda look leather-esque. The gun is a toy spraypainted black with some silver to create a metallic look. AND THE BELT. OH the belt. The belt is actually one of my mum’s, with a coaster spray painted silver and carved into shape, stuck on with No More Nails or whatever you call that stuff. It was not an easy costume! 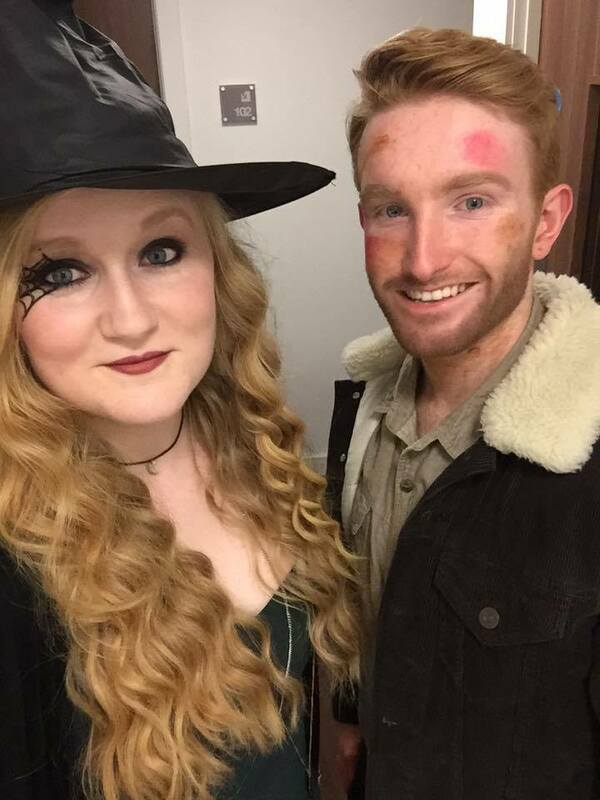 But it was so much fun to wear and is my favourite of Halloween 2015! Ft my friend Amy who was killing it as Helen from Death Becomes Her. If you know anything about me, it’s probably that I LOVE Indiana Jones – I talk about it A LOT. 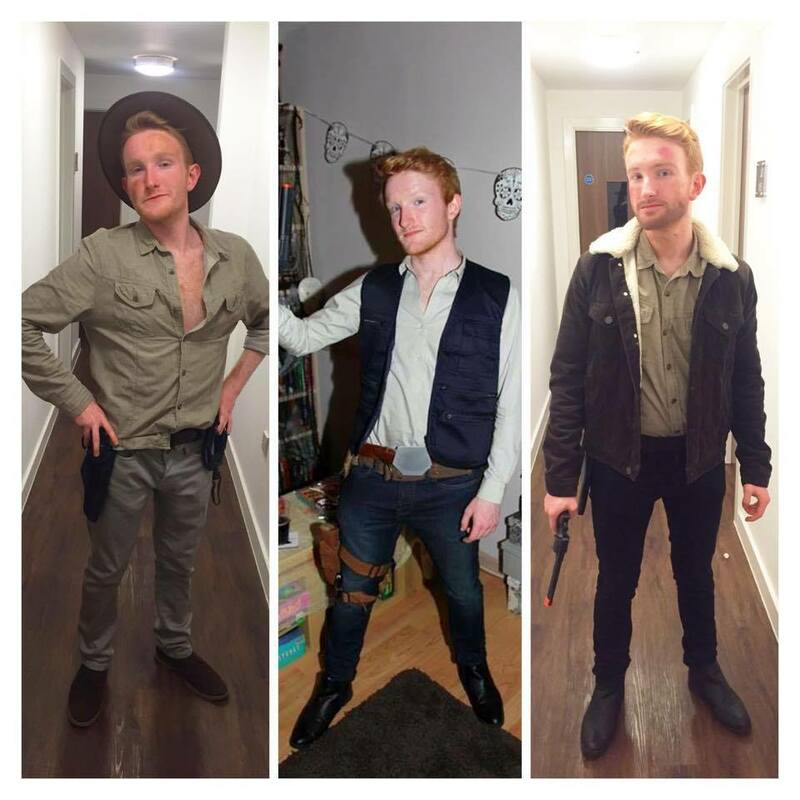 This also featured as part of my ‘Harri-ween’, when I originally only had two costumes planned, both of which are famous Harrison Ford characters! Sadly I didn’t get any real good pics of this. Oops. In a way that’s a blessing because I nip slipped about 8,000 times. The hat was a cheap eBay find, I wanted a more accurate one but I didn’t want to pay too much for a hat I could easily lose. The shirt was a charity shop find! The pants I bought years ago from Topman and forgot about! They aren’t perfect as I couldn’t find brilliant ones in time, but they did the job! The shoes I already owned, as I did the bag which is on a pic below! The gun holster, gun and whip were from Amazon. The dirt on my face is coffee grounds mixed with some water! 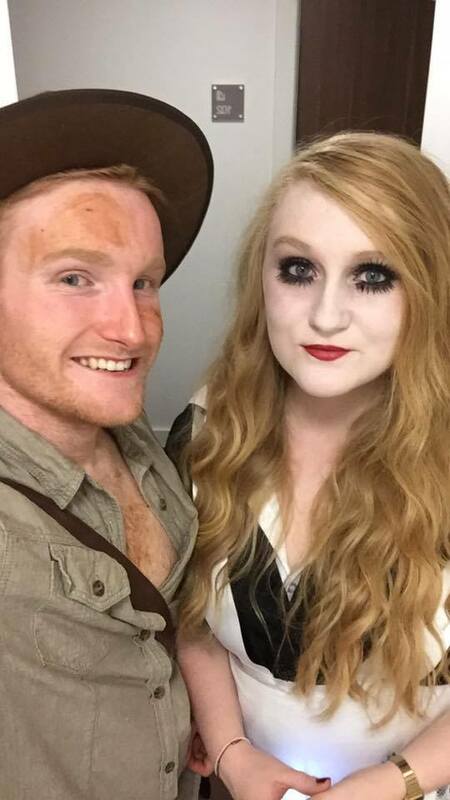 I didn’t have any real face paint or make up to utilise but I think the coffee did the job. 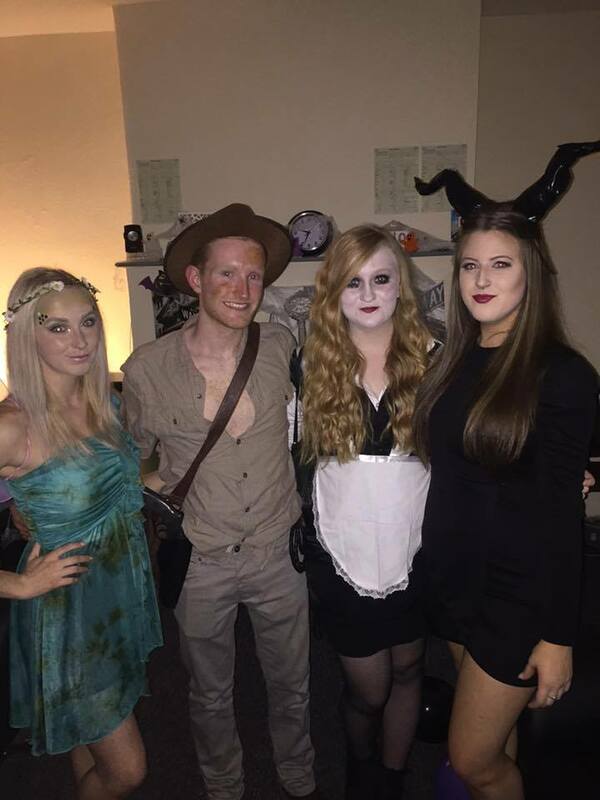 My squad – Lucy as a garden fairy, Amy as Magenta from The Rocky Horror Picture Show and Alix as Maleficent. 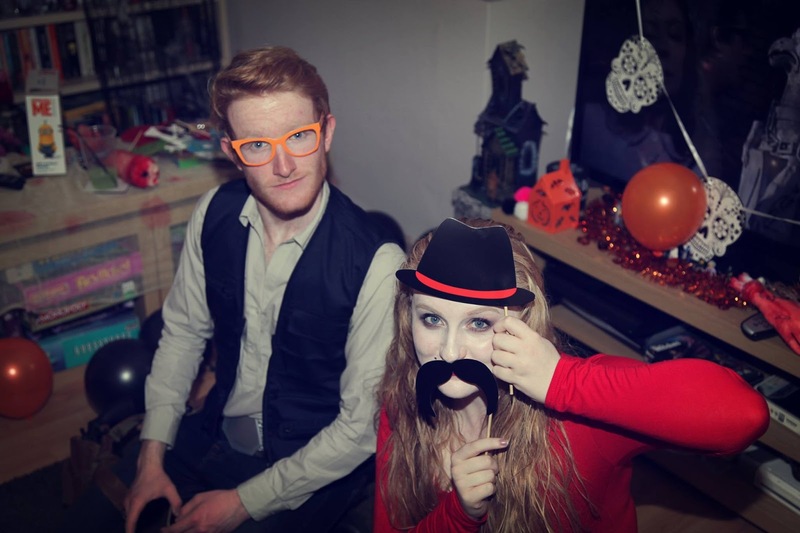 My flatmate Anna posted a picture of us to Facebook, with me dressed as Indiana Jones, and her dressed as a pirate. I didn’t have my hat and someone confused me for Rick Grimes, and this happened more than once in the night! 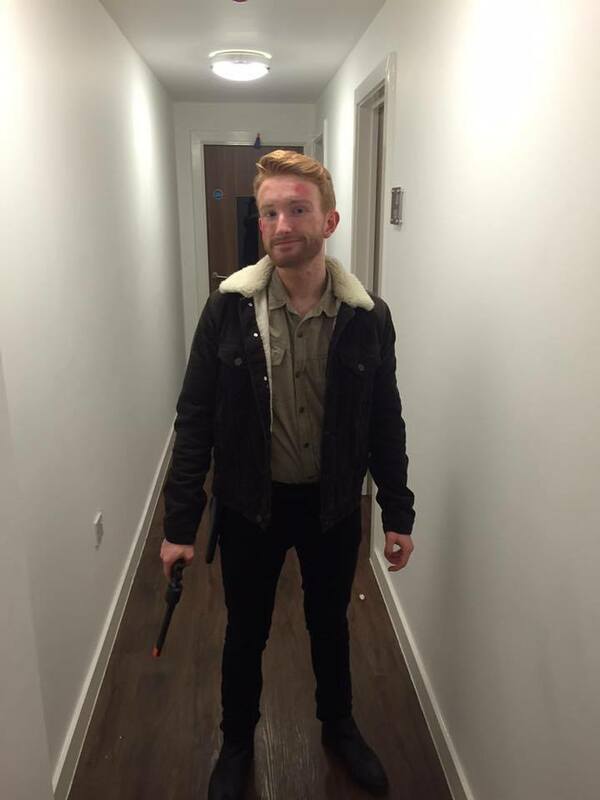 For ages I’d wanted to go as Rick Grimes, from The Walking Dead, for an event or something, as I mostly owned everything anyway, and I decided on the morning of Halloween that I wanted to be Rick Grimes that night! I tried and failed to get some fake blood, as you can imagine, Halloween sections of stores are hella busy on actual Halloween. Plus I was going through the hungover motions and was NOT OKAY to get into cramped, warm spaces filled with people. However, we managed to sort that out! The coat, jeans and boots I already owned. The shirt, gun and holster are both from my Indiana Jones costume! The dirt is coffee once again. The blood is some sort of lip tint dabbed onto my face! The beard/brows are eyeshadow, thank you to Amy for being my MUA. 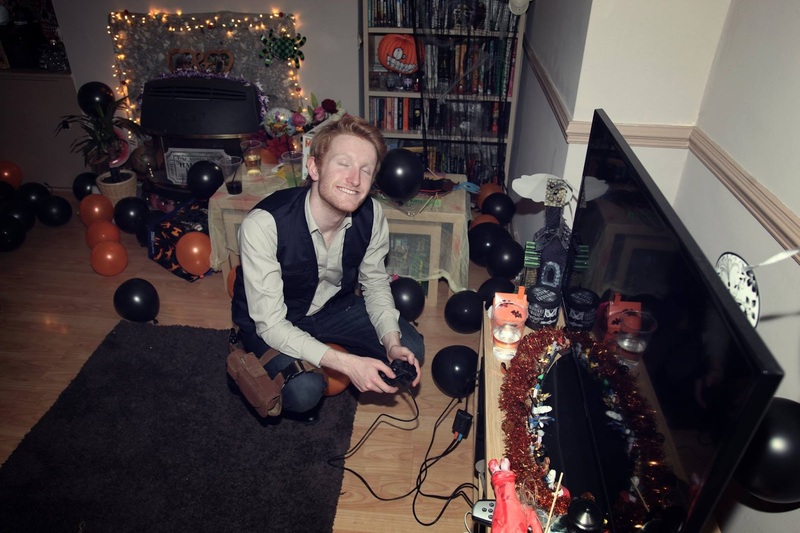 Thanks for reading, and I hope you all enjoyed your Halloween weekend whatever you did! Most of these I would love to turn into a real cosplay sometime, with a few tweaks!